Is Swaayed open to influencers outside the United States? How long does it take for clicks to show up in a campaign? How do I auto-join a campaign? How do I join a campaign? When an advertiser creates a campaign, the platform searches for influencers who are a good match to email an invite.  The matching system is based on the Swaayed's proprietary influencer score calculation. The higher your score, the more likely you will be to receive an invite. Once you've receive an invite, click on the invite link to view the campaign details page. On that page you'll see a "Join" button. Click the "Join" button, and you'll be included in the campaign. Alternatively, you can automate the process by enabling auto-join in your Account Settings. This automatically add you to campaigns deemed relevant to the Interests you've added to your profile. Can I apply to a campaign? No, there is no application process. All campaigns are invite only. Can advertisers invite me to their campaign? No, invites are determined algorithmically. Advertisers cannot send manual invites at this time. What if I joined Swaayed after the campaign launch? Can I still get invited? Yes, the platform checks for new influencers to invite every day.